Dr. Barrett L. Kays is an expert investigator and witness specialized in earth sciences involving soil, hydrology, and groundwater science. Dr. Kays has conducted numerous forensic investigations involving construction, water resource, sedimentation, flooding, wastewater, and contamination damages. He has also been involved in unusual eminent domain, and inverse eminent domain cases in federal and state courts. Dr. Kays uses state-of-art forensic techniques and complex temporal and spatial analysis in determining causation. He also has conducted expert investigations in twenty states and has testified before US Court of Federal Claims, US District Courts, and State Courts, as well as, federal and state administrative hearings. 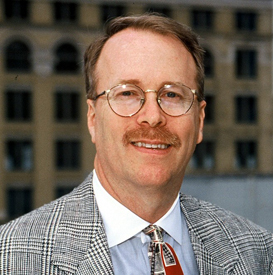 Dr. Kays has a success rate of 85 percent in his expert cases because he expertly uses science to analyze and answer each important allegation in the litigation case, and is extremely thorough in determining how best to present and explain the evidence so the trier of fact can easy apply his scientific findings to the legal case. He has been commissioned by USDOJ, USACOE, USFWS, State DOJ’s, State DOT’s, cities, counties, banks, institutions, corporations, and property owners.